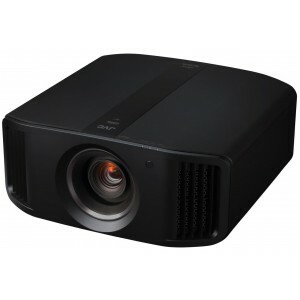 JVC DLA-N7 4K Projector sits above the DLA-N5 with 1900 lumen brightness and a dynamic contrast ratio of 800,000:1. Earn 8495 loyalty points when you order this item. JVC DLA-N7 D-ILA projector is wrapped in a whole new design, which is packed with the latest projection features. With the new 0.69" native 4K D-ILA device, the projector can produce high-definition native 4K resolution (4096 x 2160) images from its all-glass 65mm diameter lens system. HDR10 content can be projected at optimum quality with Auto Tone Mapping function, which automatically adjusts settings based on the mastering information. Combining brightness of 1,900lm, dynamic contrast ratio of 800,000:1, and wide colour gamut covering beyond the DCI-P3 range, the projector reproduces life like images for latest contents like HDR10 and Hybrid Log Gamma. Original motion control technology Clear Motion Drive is renewed, and together with Motion Enhance which optimizes the driving of D-ILA device according to the motion of the image, motion blur is reduced significantly compared to conventional projectors. JVC projectors can realize High Contrast and Wide Dynamic Range in addition to High Resolution, High Brightness, Wide Color Gamut and Smooth Gradations. You can enjoy it's powerful, immersive and beautiful images not only for movies but in various video contents such as sports, music, documentary etc. 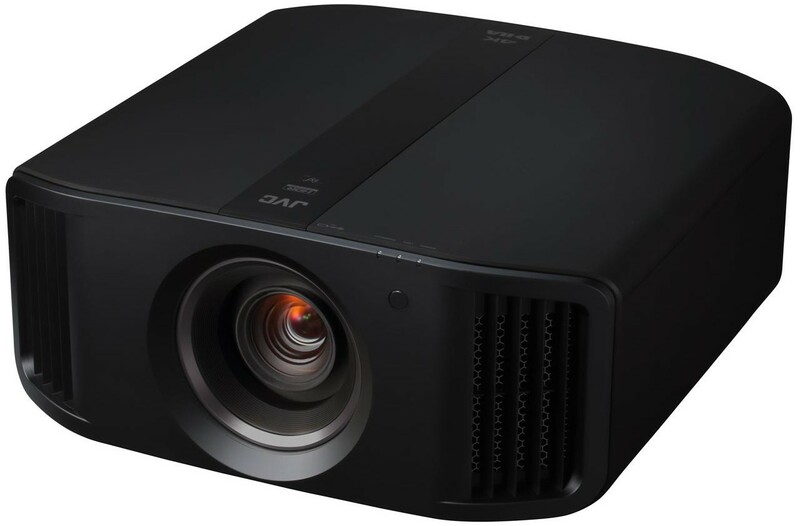 In addition to D-ILA's unique characteristic of High Native Contrast, JVC projector has High Brightness of 1900lm which can express significantly wider dynamic range compared with general projectors. The color gamut indicates the range of colors that can be expressed. The colour gamut of BT.2020, which is a standard adopted for UHD Blu-ray Disc or 4K / 8K broadcasting covers wider color range than BT.709 used in conventional full high vision broadcasting. It is possible to express colors richly, such as the natural gradation of the sky and the sea, contrast of the deep red roses and the fresh green trees, which were difficult to reproduce in the past. Compared to conventional SDR, the PQ gamma curve adopted for HDR10 rises more steeply in the brighter area, so signal depth (bit) correspondence is important to avoid visible banding effects. Since 4K HDR streaming contents that are expected to expand, JVC projectors are equipped with a chip set compatible to 18 Gbps. Achieve vivid colors and natural gradation. HDCP2.2 is also supported which enables playback of copyright protected content like video streaming contents and UHD Blu-ray etc. 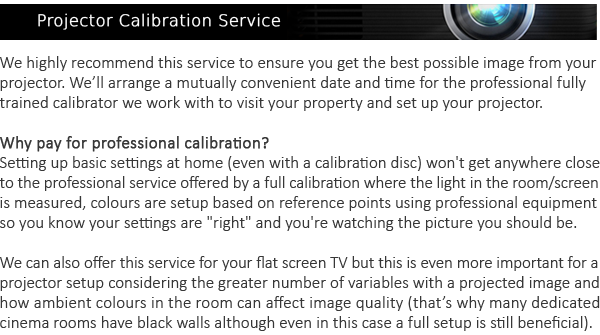 HDR standard content will not be displayed at the best quality unless you watch it in the HDR compatible picture mode. When content such as UHD Blu-ray or video streaming content is input, it automatically switches to HDR Picture mode.You can enjoy HDR images easily without the fuss to make manual adjustments of picture mode.